Creating a comprehensive diversity and inclusion program is a top priority for companies across the globe. At a recent Geekup event hosted by Culture Amp and GitHub, our panelists had a thoughtful discussion on this topic. 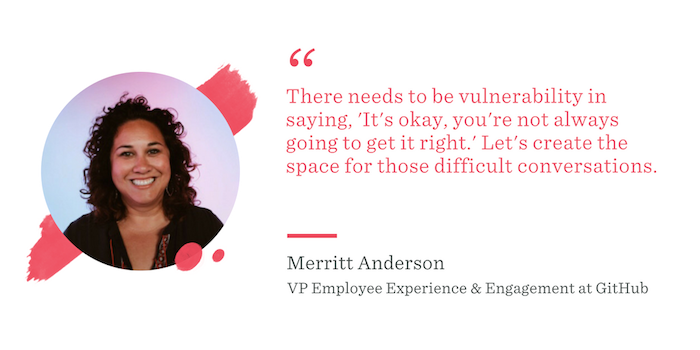 In this article, we’ll dig deeper into how these leaders are cultivating a sense of belonging among their employees with bespoke inclusion programs. Before diving in, it’s important to clarify how the panelists define “belonging.” The general consensus was that, while it’s important to measure inclusion through surveys, belonging is first and foremost a feeling that comes from rallying around a powerful mission or shared values. Alison Covarrubias-Clapp: "One of our core values at Plenty is that we "work as one." As an agriculture company, Plenty has an incredibly diverse team -- from farmers to marketers and plant scientists to mechanical engineers. We're continuously trying to engage every person on our team in activities that foster collaboration and a sharing of perspectives, such as book clubs or movie nights. These aren't extracurriculars of the typical flavor -- we choose meaty topics that make the mind melding relevant to our industry, yet we create groups who can foster understanding amongst teams and individuals across the company." While the general definition of belonging was similar across the board, the way that fostering inclusion is executed on should be specific to each organization. Below are three strategies the panelists recommended when it comes to customizing an inclusion program. The first step to tailoring an inclusion program is to understand who your employees are, and what needs they may have - keeping in mind that what works for one team may not be the case for others. 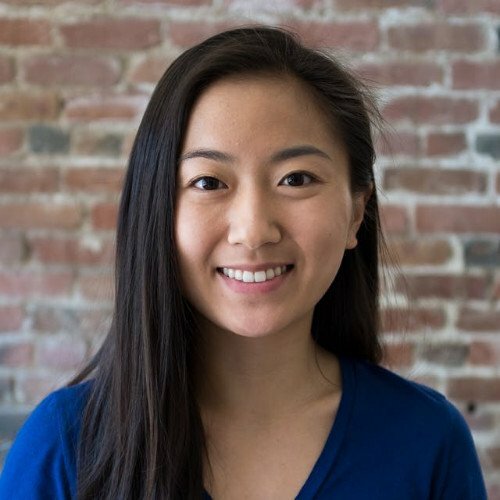 For instance, Alison shared how technology can be a blocker at her company and isn’t always the right approach to create a sense of belonging among their employees. On the flip side, technology can be very helpful for companies - such as GitHub - who want to leverage it to foster collaboration across time zones or keep their global teams connected. According to Merritt, technology has been an invaluable tool for her teams. A side effect of having an empathetic and kind company culture is that tough conversations are sometimes glossed over. This is a missed opportunity to have productive discussions around issues important to the people at your company. Also, creating an environment that doesn’t encourage open conversations can inadvertently silo people who may have unpopular opinions and make them feel unwelcome at their own workplace. Our moderator, Steven, agreed and explained the steps he’s taking as the Head of Diversity and Inclusion to ensure that safe space is built in for all Culture Amp employees. While many inclusion practices strive to eliminate this culture of trepidation, certain practices - such as unconscious bias training - can actually backfire and make the problem worse. You need both bias-busting people practices and training to be effective. That’s why every organization needs to be thoughtful about the way they execute on this type of training. Andrea recalled one example of this at Airbnb. When building an inclusion program at the workplace, freelancers and remote workers can sometimes be left out since. This not only goes against the very concept of belonging and inclusion, but also skips over the opinions of employees who have the benefit of understanding your culture while still maintaining a sense of objectivity. There are many ways to cultivate a sense of belonging among gig workers and remote teams, such as including them in employee engagement surveys, inviting them to offsites, and encouraging coffee meetings with the rest of the team. 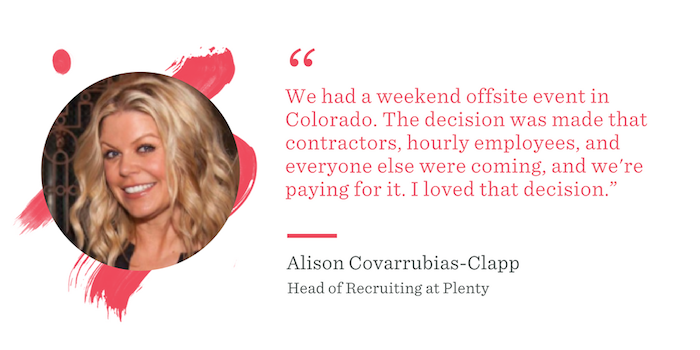 Alison shared her personal experience working with the gig workers at Plenty. An inclusion program, just like every other aspect of employee engagement, is something that requires special attention and customization by People teams. 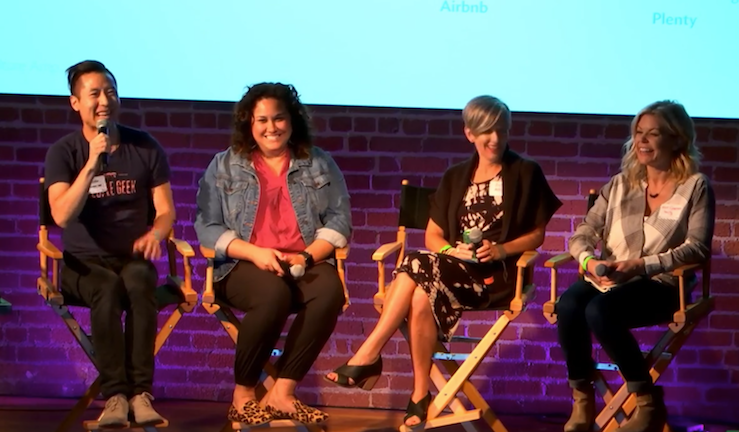 Hopefully, these tips from our panelists will inspire you to refine your own and think deeply about ways to further foster a sense of belonging at your company. A special thanks to GitHub for hosting us at their beautiful office, and a round of applause to our wonderful panelists and People Geeks who joined our event. Missed the Geekup? Check out our events page to find an upcoming one near you!